The Iowa Water Quality Initiative (WQI) is the action plan for the Iowa Nutrient Reduction Strategy (NRS) established in 2013. The WQI improves water quality through a collaborative, research-based approach that is evaluated and reported by a team of independent researchers from multiple institutions, led by Iowa State University. This comprehensive approach allows farmers and cities alike to adopt conservation practices that fit their unique needs, lands, and budgets. Iowa has been working for decades to protect and improve water quality. However, more can be done. The strategy is to direct efforts to reduce nutrients in surface water from both point and nonpoint sources in a scientific, reasonable, and cost-effective manner. Prompted by the 2008 Gulf Hypoxia Action Plan that calls for Iowa and other states along the Mississippi River to develop strategies to reduce nutrient loadings to the Gulf of Mexico, a goal was established of at least a 45 percent reduction in total nitrogen and total phosphorus loads. The Iowa strategy is a coordinated approach for reducing nutrient loads discharged from the state's largest wastewater treatment plants, in combination with targeted practices designed to reduce loads from nonpoint sources such as agriculture. Success can be achieved using the tools known to work, such as targeted, voluntary conservation measures, in conjunction with research, development, and demonstration of new approaches. The goal is application of proven practices in fields and cities across Iowa. 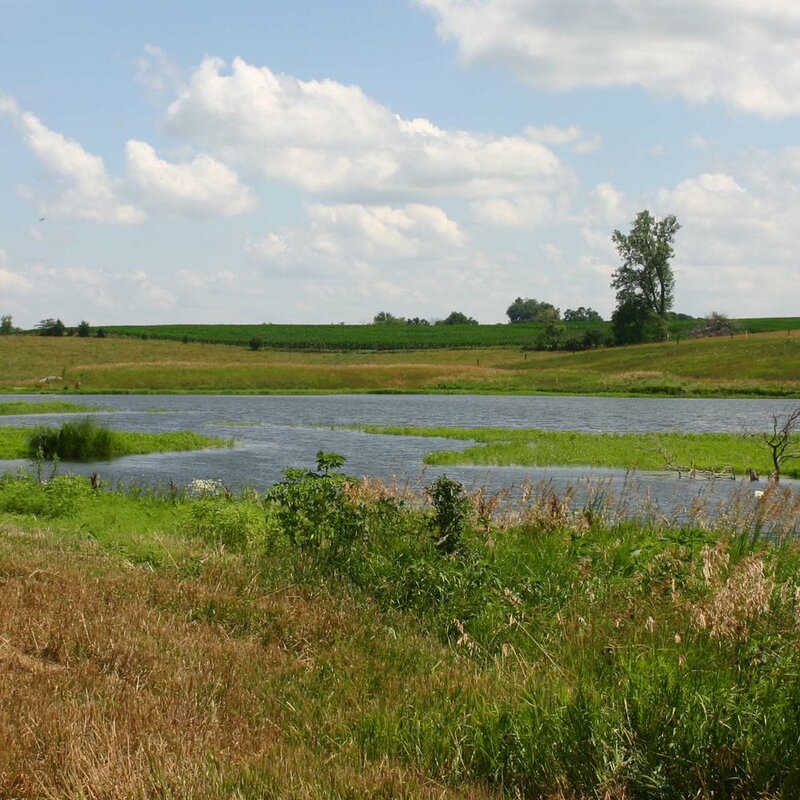 The strategy related to farmland is built on a scientific assessment of practices and associated costs to reduce loading of nitrogen (N) and phosphorus (P) to Iowa surface waters. 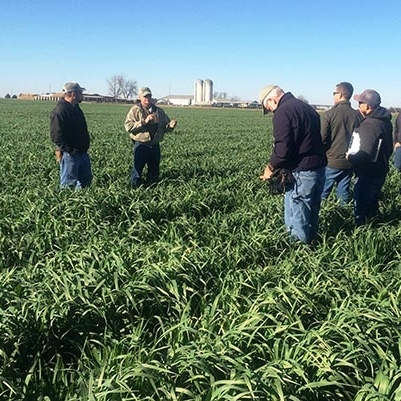 The College of Agriculture and Life Sciences at Iowa State University and the Iowa Department of Agriculture and Land Stewardship partnered to conduct a scientific assessment. The science team consisted of 23 individuals representing five agencies or organizations. The objective of the science assessment was to identify and model the effectiveness of specific practices at reducing N and P reaching the Gulf of Mexico. The assessment involved establishing baseline conditions, reviewing scientific literature, estimating potential load reductions, and estimating implementation costs. The assessment shows broad implementation of a combination of practices will be needed to reach desired load reductions. See water conservation practices in action within our watershed demonstration projects. Located throughout the state, these three-year projects focus on practices that work best for that specific watershed. Learn more about individual water conservation practices, including bioreactors, saturated buffers, cover crops, and more. Check out the latest news, updates, events, and more from Clean Water Iowa, our partners, and our projects. Find legislative reports for each year below. Work will continue in first eight watershed demonstration projects funded through the Water Quality Initiative.